As part of the INTA Panel reflections of the future of the Givors-Grigny south-west pole of the Grand Lyon metropolitan area, we developed the idea of nodes within the city area which could have multiple roles. 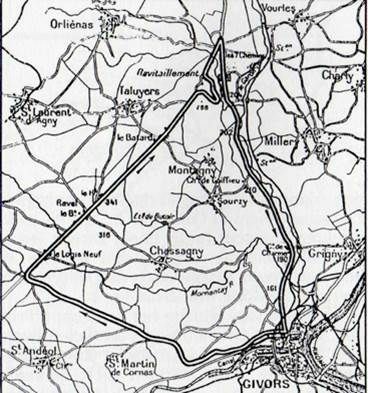 This was demonstrated in part using the example of the Autopôle at Givors developing an expanded range of ambitions and network connections so that it becomes a more significant proposal than a few sheds that sell cars. 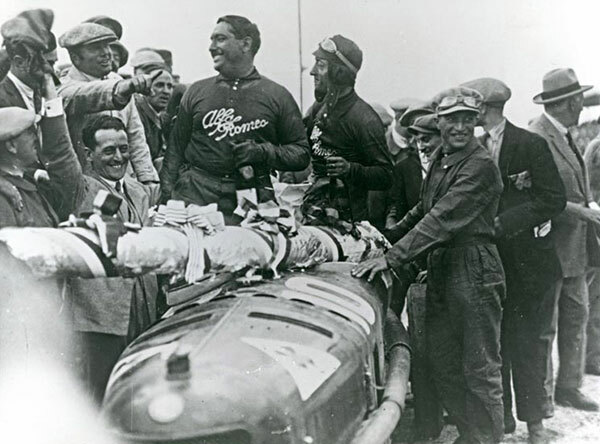 We have described the relationship between motor sport and technology, stories, history, landscape and tourism in previous posts about Ayrshire, the Trossachs and Scottish Borders as well as implementing motorsport proposals at Forrestburn in Central Scotland. 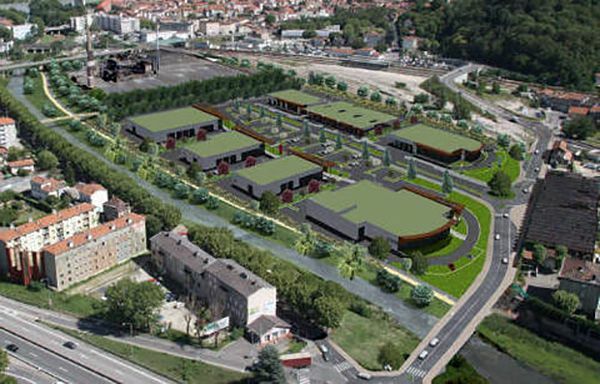 Initially the prospects of building a case for similar facilities at Givors seemed far-fetched. 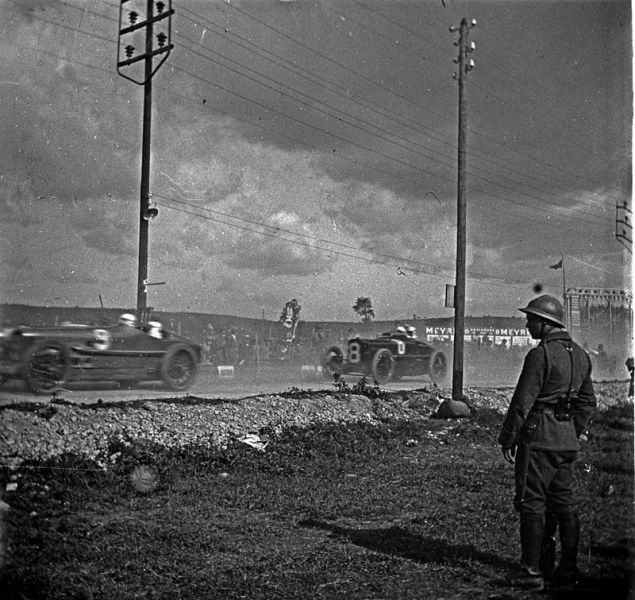 However the first searches of Google revealed that Givors was one of the principal points on the Circuit de Lyon, used in the 1924 French Grand Prix or Grand Prix de l’ACF. 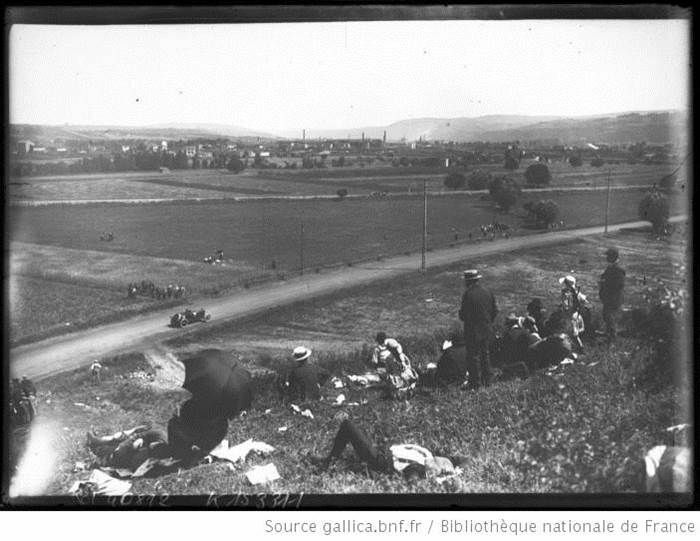 The track was situated about 9 miles south of Lyon and started at the Sept Chemins junction before following the Rhône valley to Givors. It then turned west uphill to Pont Rompu, before going north back to the start line. It was 14.38 miles/23.145 km long. 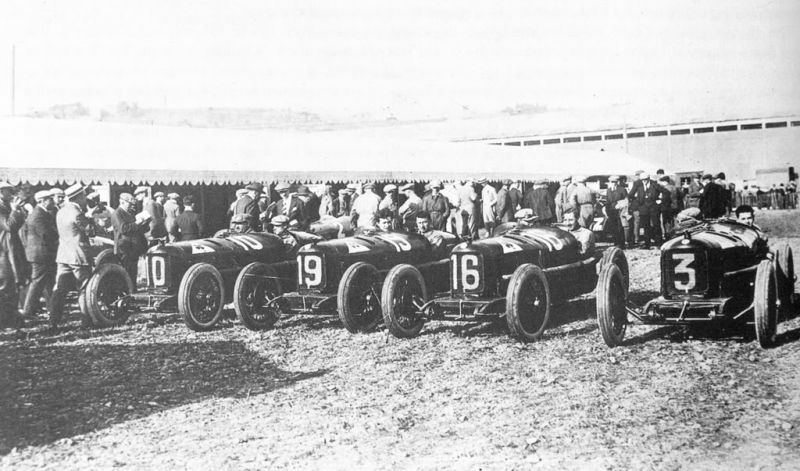 That race, held on 3 August 1924 was won by Giuseppe Campari driving an Alfa Romeo P2 8C/2000. 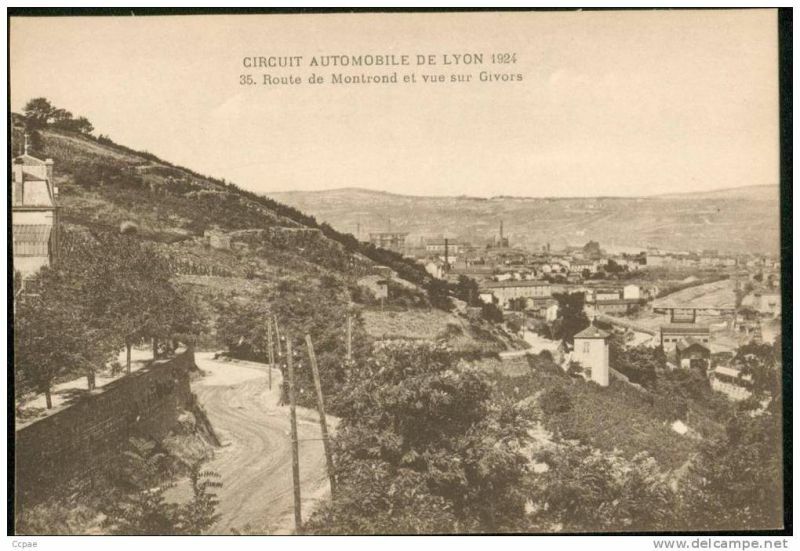 Givors therefore has a connection with the automobile industry in terms of history, landscape, stories and the place itself. The Autopole at Avenue Georges Charpak is only a few hundred metres across Le Gier from the southern arm of the circuit of public roads used for the race. 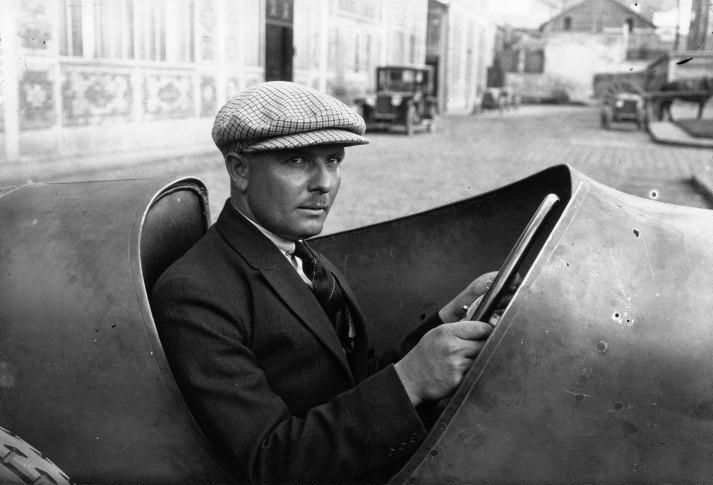 A historical retrospective of the Grand Prix de Lyon 1924 is being held 1-3 May 2014 – 90 years after the event itself. 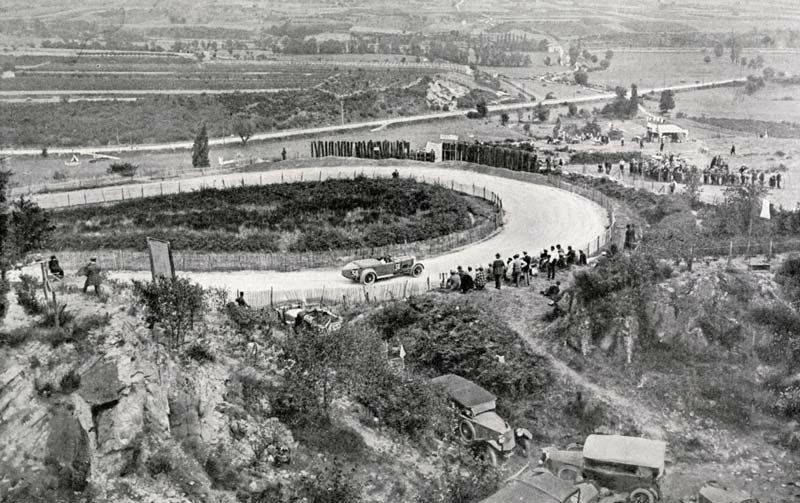 Occasions such as this have great potential to attract visitors and can evolve into major annual events like the Mille Miglia in Brescia, the Le Mans Classic or the Goodwood Festival of Speed. The presentation below is a developing action diagram which summarises the above. This is an strategy for placing a narrow interest local project – the autopole – in a wider context and linking it to a range of public, civic and private enterprises to create a more significant entity. Some are physical, some are organisational some are theoretical. They represent a combination of top-down physical and socio-economic proposals combined with bottom-up social enterprise and civic economy actions. 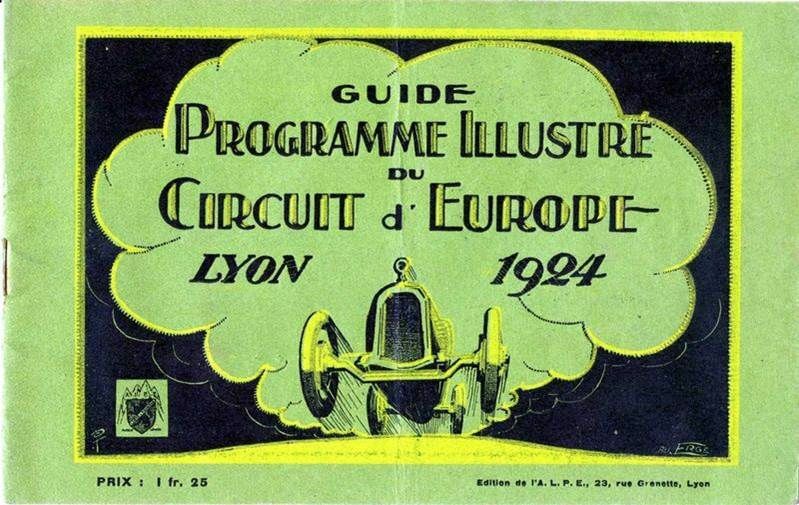 We have seen that the Autopole proposal might include training and apprenticeship facilities, opportunities for motor related corporate hospitality, links with motor racing circuits, alliances with Formula One manufacturers, technologies and research, potential tourism and event developments associated with the heritage of motor sport in the area – especially the French Grand Prix 1924 Road Race which in turn relate to Grand Lyon, as well as civic spaces and meeting places. So a simple concept becomes a complex network of ideas that support a large range of initiatives, all linked to a physical location or place that becomes an important urban hub. 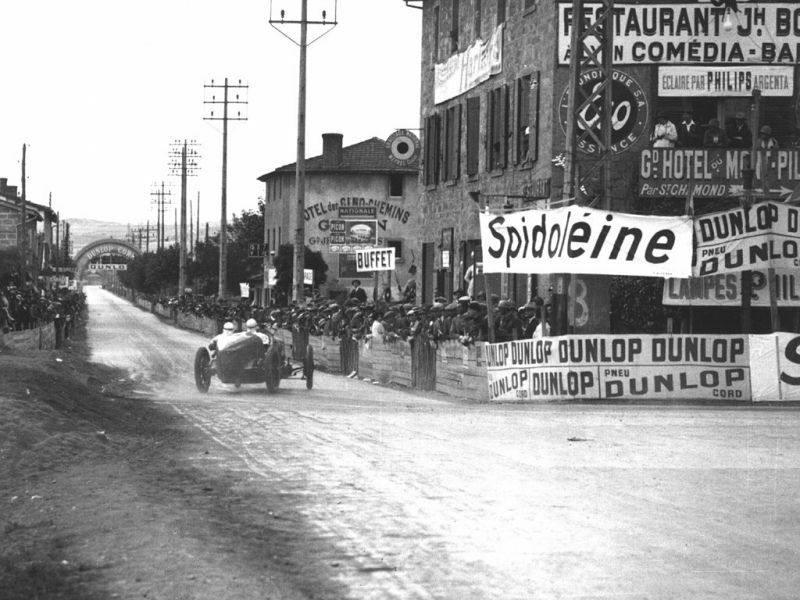 It needn’t be based on motor sport of course – in Givors the focus could have been culture, modern architecture, rural resources and landscape or health and wellbeing. The important factor is to see connections between seemingly disparate subjects and build new ideas through collaboration and a will to bring about changes in civic society.